EyeSpyFX are pleased to announce our latest AXIS compatible app! 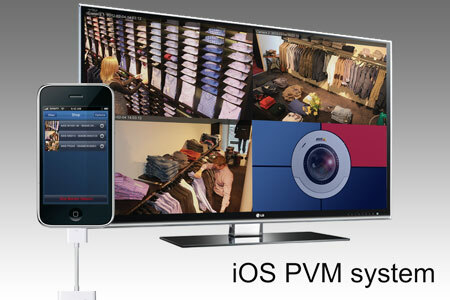 PVM for AVIS Cameras is the world’s first Public View Monitor App solution that works using iOS devices. This contrasts with the conventional solution, which involves computers or expensive proprietary hardware. Public View Monitor for AXIS Cams sends up to 16 wireless camera feeds to your TV or monitor system. The app integrates with AXIS Camera Companion, providing a neat modern surveillance solution for small businesses. Using a Digital or Composite AV Adaptor cable, plug your iOS device straight into your TV or PVM Monitor. Display options: Cycle through at time intervals or go splitscreen. Sitelist: Track multiple sites for complete security e.g. the office, the shop, outside. Get it now for iPhone, iPad, and iPod Touch.